See the 2019 Spring Forward Gallery! For more photos and information, follow our event on Facebook and Instagram. The Spring Forward Benefit is an adults-only auction and celebration featuring live performances, heavy hors d'oeuvres and an open bar, all facilitated by our talented parent volunteers. Guests are invited to peruse the silent auction items, pick and choose from our unforgettable Experience Parties, support a classroom directly with our Teacher Wishes, raise a paddle in the live auction or check out one of our games or raffles. Volunteer opportunities for this event range from front stage to behind the scenes - event coordinator, data entry, donation solicitations, chef or food service, meeting hosts and performers are just a few of the many ways volunteers can help us raise the most funds in this one, exciting night. 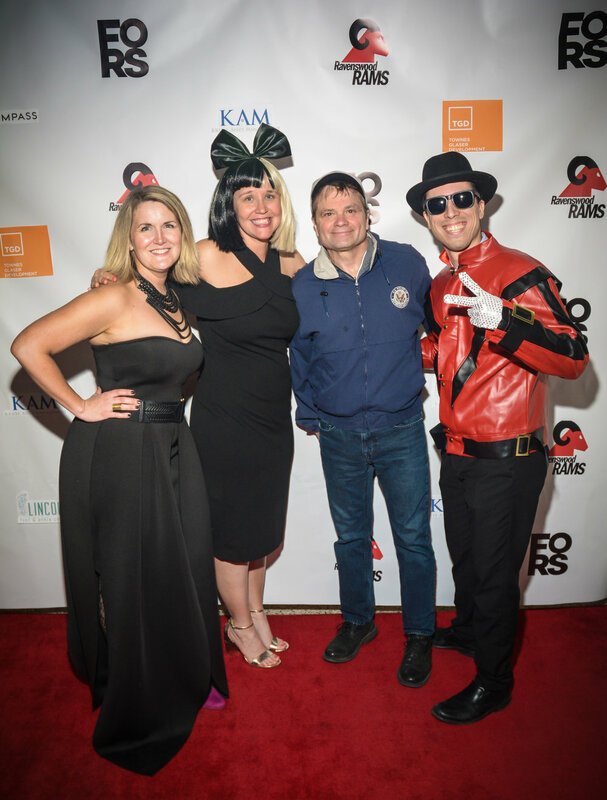 FORS co-presidents, Marta Hardacre and Mary Mesch with Congressman Mike Quigley and Principal Nate Manaen on the red carpet at the 2018 Spring Forward Benefit: Ravenswood Rocks.